After a break of 6 months, a new report. Over 4.9 lakh persons in India developed paralysis between 2000 and 2017 because of oral polio vaccine (OPV), say leading doctors in two reputed hospitals here. Jacob Puliyel, a paediatrician at St. Stephens Hospital, and his co-workers claim their study has shown that frequency of pulse polio administration is directly or indirectly related to incidence of non-polio acute flaccid paralysis [NPAFP]. Dhiman, R.; Prakash, S.C.; Sreenivas, V.; Puliyel, J. 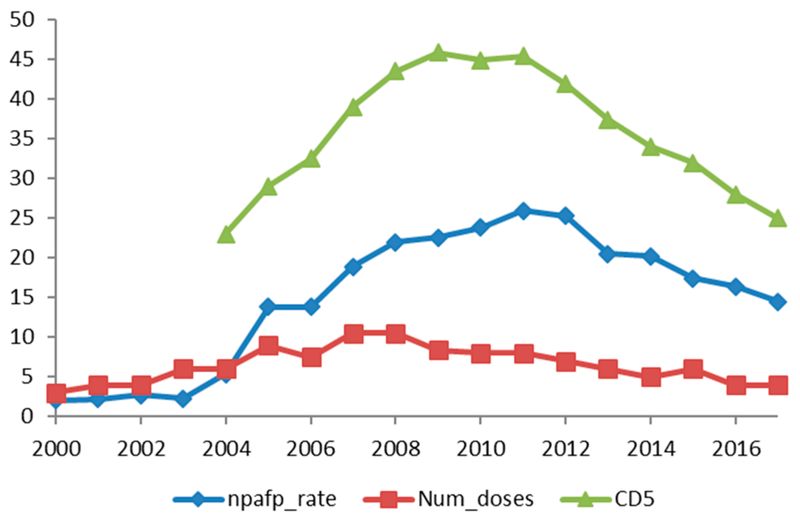 Correlation between Non-Polio Acute Flaccid Paralysis Rates with Pulse Polio Frequency in India. Int. J. Environ. Res. Public Health 2018, 15, 1755.